The District Council of Loxton Waikerie is a local government body delivering 80 distinct services to the local community. The council has 102 full-time, part-time and casual staff, focused on delivering services most effectively while remaining relevant to the community. Subnet has been working with the District Council of Loxton Waikerie for 12 months, providing them with a comprehensive range of ICT solutions to help them best meet their technology efficiency goals. The District Council of Loxton Waikerie are part of an alliance called the Riverland G3; other members include the Berri Barmera and Renmark Paringa councils. The Loxton Waikerie hosts located onsite had not been receiving frequent patching with several critical patch packages outstanding. Neither of the Lenovo hosts nor the IBM SAN had received patching since installation. Patches are essential to remediate software bugs, address stability issues and security vulnerabilities. By not performing frequent patching, the council were susceptible to severe technical issues and potential security breaches. In addition, their existing support contract did not cover the council's voice solution based on a Cisco UC BE6k physical appliance located at the Loxton Civic Centre. Although the telephony solution was proving to be useful, staff and elected members wanted to have access to more comprehensive video conferencing. Lastly, no backup methodology or systems were in place for the Cisco voice system. The District Council of Loxton Waikerie Chief Finance Officer recognised that all of their technological challenges were impacting their delivery of core services to their constituents. Although the council acknowledged that other local companies could provide them with a level of ICT assistance, they questioned their capability to deliver managed services that met their requirements or their ability to provide the skillset of a more experienced solutions provider like Subnet. 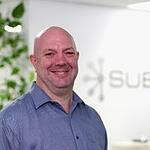 As a result, Subnet was invited to take over as the council’s managed services provider of choice. To ascertain the way forward and to produce a live planning document, we performed a comprehensive ICT Health Check to understand how the environment operated and highlight areas for improvement, ranked by urgency. As an interim solution to prevent the council from hitting too many dead ends during the transition of support, our engineers immediately updated and stabilised the ICT environment. The Subnet team made recommendations based on the council’s future direction and available resources. Included within the managed service agreement, the council consistently receives complimentary advisory and consulting services to help them with the ongoing transformation within the G3. Within the initial assessment, Subnet discovered that the council’s backup system was out of date with the provider no longer in existence. Subnet recommended Veeam Backup & Replication 9.5, as it provided integration with a cloud solution and would back up the current voice Cisco BE6K virtual appliance. Our Systems Engineer implemented the VEEAM Backup Essentials Standard Bundle for VMWare to ensure that data can be protected and quickly restored. 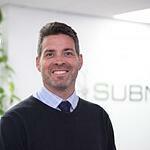 As part of the District Council of Loxton Waikerie managed services agreement, Subnet’s fully qualified Riverland-based Systems Engineer is on-site once a week. Working out of our newly opened Berri office on Wilson street, he’s just a quick 20-minute drive away from the council. The District Council of Loxton Waikerie Chief Finance Officer has recognised our Systems Engineer for his excellent delivery of service, ICT troubleshooting, courtesy and efficiency. He has proved most proficient at troubleshooting their business-critical Authority enterprise application suite that the council staff use to run their highly diverse business. Staff at the District Council of Loxton Waikerie have noticed a continuity of service and increased stability due to Subnet’s weekly onsite presence and comprehensive ICT support. Our team have taken over any past issues to create a much healthier and less strained technological environment. We provide monthly reporting alongside a monthly maintenance checklist which enables the council to stay abreast on how Subnet is performing, what services we’re delivering, how we’re delivering them and any other areas that need particular attention. Our transparency, experience and exceptional customer service enable us to continually deliver the best managed services to our customers like District Council of Loxton Waikerie. Read our Berri Barmera Council case study for more insight into how our managed services continue to make their day to day processes much smoother, allowing the team to be more productive.